Harikleia Georgiou Sirmans autographed copies of The Agony of Survival on Thursday, October 4, 2012 at the Authors’ Reception in Georgia COMO, Macon, GA. This event celebrated the creative minds of published authors, illustrators, and translators. 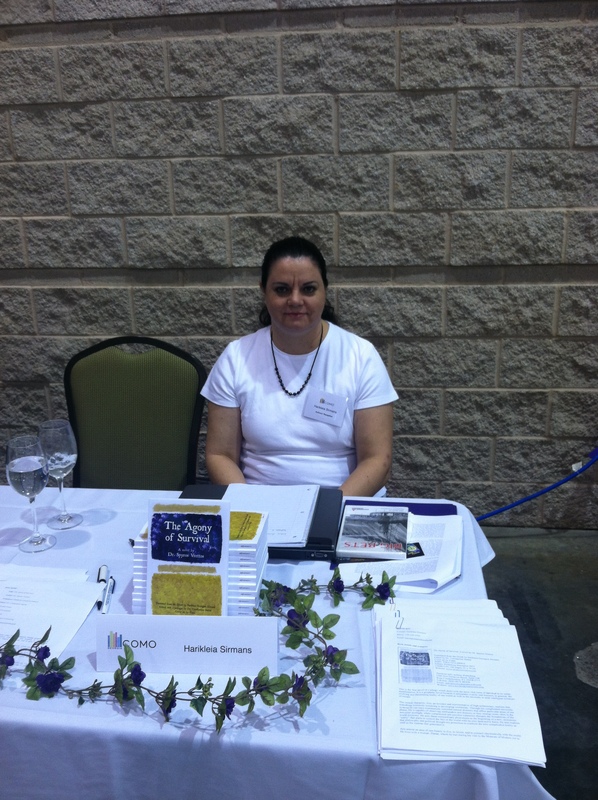 34 participants had the pleasure of promoting their books, and networking with book fans. Because of space limitations, authors shared tables to display their work. Congratulations to all writers for their hard work. Without their books, there will be no libraries.